How To Install ClockworkMod Recovery Touch on Samsung Galaxy S2 / S II T989 T-Mobile! [Windows] ~ AndroidRootz.com | Source for Android Rooting, ROMS, Tricks and More! Are you having a difficult time navigating through ClockworkMod Recovery? Want to be able to touch the screen to navigate at a much faster and easier pace? This tutorial will show you how to install ClockworkMod Recovery. 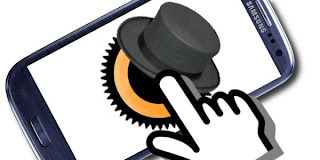 ClockworkMod Recovery Touch is just like ClockworkMod Recovery except your can touch the screen to navigate.